Our new generation Triton Cryofree® dilution refrigerator – high power and enhanced sensitivity in quantum technologies and ultra low temperature physics. With over 260 systems installed worldwide, TritonTM is used in world-leading research across condensed matter physics, with a particular focus on advanced computing, quantum technologies, spintronics and optics. The new generation Triton system continues to provide market leading performance and reliability, with enhanced cooling power, ease of use, user access and experimental space. Ultra low temperature experiments now frequently extend well beyond the sample or device itself, to incorporate signal conditioning such as high frequency qubit read-write control lines, low radiation environments for quantum sensor detection, and ultra low vibration systems for pump-probe experiments. These all create growing demands for space, cooling power and performance, which the new generation Triton has been designed to answer. • Our latest 7th series high cooling power DU7 dilution units give the new generation Triton the highest cooling powers for your experiments. • The solid track record of the Oxford Instruments dilution unit is a result of several decades of work into perfecting the art of welding, brazing and soldering components for maximum reliability and leak-tightness. This critical component is now used in more than 1000 wet and dry dilution refrigerators worldwide – a larger installed base than all other vendors combined. Our latest 7th series high cooling power DU7 dilution units give the new generation Triton the highest cooling powers for your experiments. The new support design maintains rigidity and low vibration between the cooling stage plates, and gives easier access and new larger space between the cooling stage plates for wiring, filtering, attenuators and other signal chain components. Single-person fitting of radiation shields and vacuum can (OVC) for assembly made easy. The solid track record of the Oxford Instruments dilution unit is a result of several decades of work into perfecting the art of welding, brazing and soldering components for maximum reliability and leak-tightness. This critical component is now used in more than 1000 wet and dry dilution refrigerators worldwide – a larger installed base than all other vendors combined. To guarantee low vibration, the PTR coldhead isolated at both system top plate and at intermediate and 4 K stages. Demonstrated capability for multiple optical window configurations. Customised optical magnet solutions such as 2/2/2 T optical 3-axis vector rotate magnet. Special optical access sample pucks. 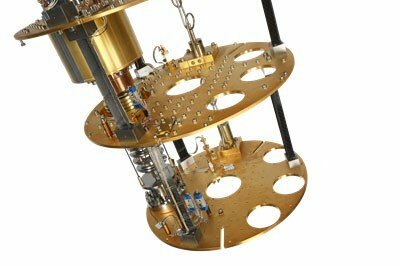 Oxford Instruments is the only company able to offer in-house design, manufacturing and support of both the dilution refrigerator and the superconducting magnet, giving you access to unique service and support capabilities of all aspects of the system. 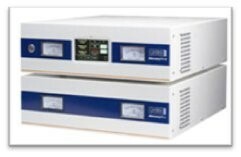 The MercuryiPS is our industry-leading superconducting magnet power supply, offering a reliable, high precision and high stability solution for all superconducting magnets. These multi-configurable, expandable power supplies feature a 60 A master unit with touch screen control interface, combined with one or more 60 A slave units to provide higher currents and multiple outputs for 2 and 3 axis vector magnets. The MercuryiPS includes built-in functionality for persistent mode control, magnet temperature interlocks, quench protection and remote control via TCP/IP, USB, GPIB (with optional card) and serial ports.